The Bachelorette Season 14: Who Could It Be? If nothing else, the selection of Arie Luyendyk Jr. to play the leading man on The Bachelor shows that anyone can be in that role. Seriously, anyone. But who will fill Rachel Lindsay's shoes in the next season of The Bachelorette? Obviously, we don't expect to know right away. And there's always a chance that a few viable candidates will emerge from among the contestants on Arie's season of The Bachelor. That doesn't mean that we can't consider the possibilities, though. Because the Bachelor Nation has some very strong candidates already. Some of these women are beloved by the Bachelor Nation. Others are … we don't want to say reviled, but they don't necessarily foster warm feelings with potential viewers. We shouldn't dismiss their entertainment value, however. So let's look at who it might be! Of course, since showrunners apparently chose Arie Luyendyk Jr. in part because they worried that it was too easy for fans to guess who would be next, maybe we're disqualifying all of these ladies just by mentioning their names. This girl won a lot of sympathy on Bachelor in Paradise during her love triangle with Dean Unglert. While his reputation sunk, her star has never been brighter. Should she become the Bachelorette? You might be thinking that they’d never cast Vanessa, because she and Nick only JUST broke up. Well, Arie Luyendyk Jr. had a girlfriend until just a couple of days before he was announced as the Bachelor. The real question is, since Rachel Lindsay was just the Bachelorette, would they have two leading ladies back-to-back who hate each other? Hear us out on this one. The scandal on Bachelor in Paradise this summer wasn’t her fault or DeMario’s. She’s still entertaining and seeing her be the Bachelorette would be the stuff of dreams. She has a heart of gold and a platimun vagine — literally what more could you ask for? Plus, there’s a chance that she’s already in talks for it. “But she was already The Bachelorette!” Yes. 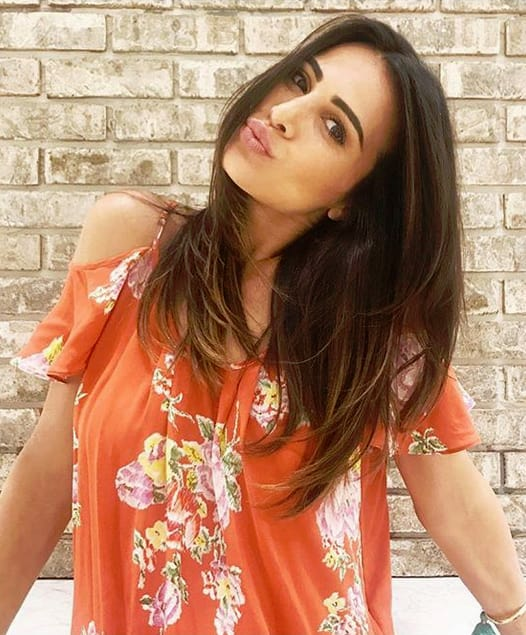 But, especially given that it resulted in a tumultuous relationship with Josh Murray, doesn’t she deserve another bite at the apple? Amanda dismissed the idea of becoming the Bachelorette, but … that could be a deliberate deflection. She’s gorgeous, she’s a mom, and she’d be great in that role. Tamra Judge: Yeah, I Posted My Daughter’s Graduation Pic. So What? !